Click on the image to explore some of our more recent work. Conservatories and garden rooms can enhance a home of any age or style, acting as an extra room to extend the home into the outdoors. 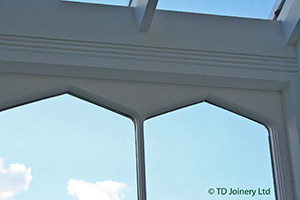 TD Joinery is able to supply conservatories and garden rooms in any style and in any timber. We pride ourselves on our ability to meet the client’s requirements of style and design.